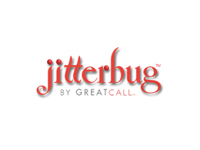 Created by Great Call, Jitterbug is a wireless service provider targeting the 55+ market in the US and Canada. Jitterbug’s value proposition is unique in an underserved market, and centres on easy to use handsets (co-designed with Samsung), simplified services and pricing tailored to low ARPU users. Jitterbug has its headquarters in California, US.